â€œThe ultimate suiting for business travelâ€� Simon Cundy, Henry Poole & Co, 15 Savile Row. A crisp, cool, 100% wool fabric designed to allow the wearer to travel light and crease free, Fresco II is perfect for year-round wear and comes in a range of stylish stripes, windowpanes and plains to match any occasion. 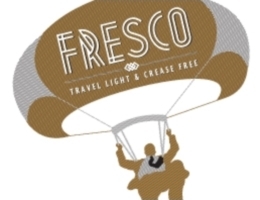 Originally patented by HFWâ€™s Martin Sons & Co, in 1907, Fresco II is timeless travel suiting. Available in three weights with a high twist worsted yarn and porous plain weave, Fresco II is strong, durable and importantly, extremely versatile. 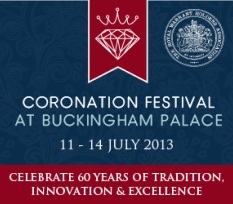 Hardy Minnis are proud to be contributing to the Coronation Festival which will celebrate British innovation, excellence and industry. This summer the Gardens at BUCKINGHAM PALACE will be the venue for a one-off event to celebrate the 60th anniversary of The Queenâ€™s Coronation.